Public lands and waters represent the best of our nation. 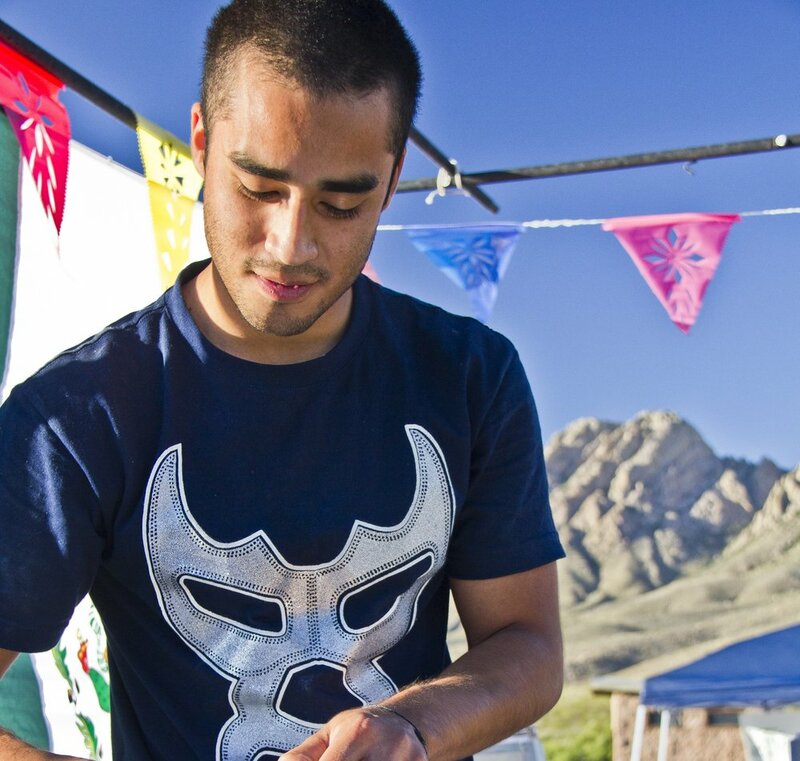 In the Southwest, our public landscapes and people represent an oasis of authentic, land-based culture with direct and unbroken generational ties going back thousands of years. Across the country, the value of public lands simply can't be measured in profit, nor can their history and importance be written in one history book. 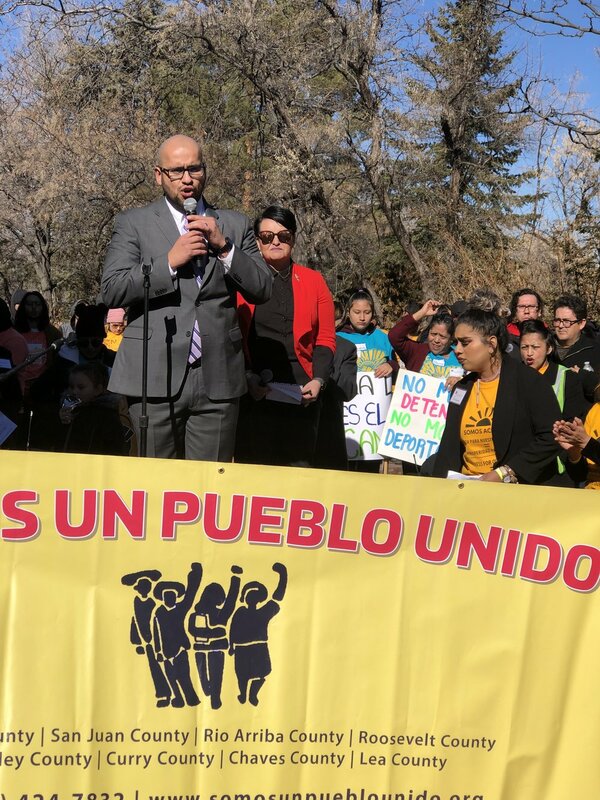 For Latinx and Hispanic communities across the U.S., our roots are many - our people are multicultural, multinational, and multilingual - and public lands set the stage for the stories of our past and future. 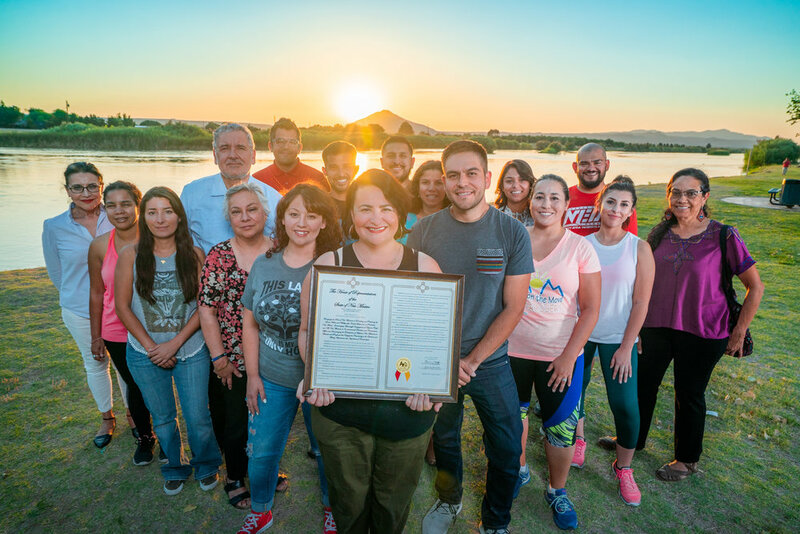 The Nuestra Tierra Conservation Project aims to tell the stories of Latinx & Hispanic communities in New Mexico and across the nation, advocate for issues important to our communities, and get youth and families outside on public lands and waters to help inspire the next generation of conservation leaders. 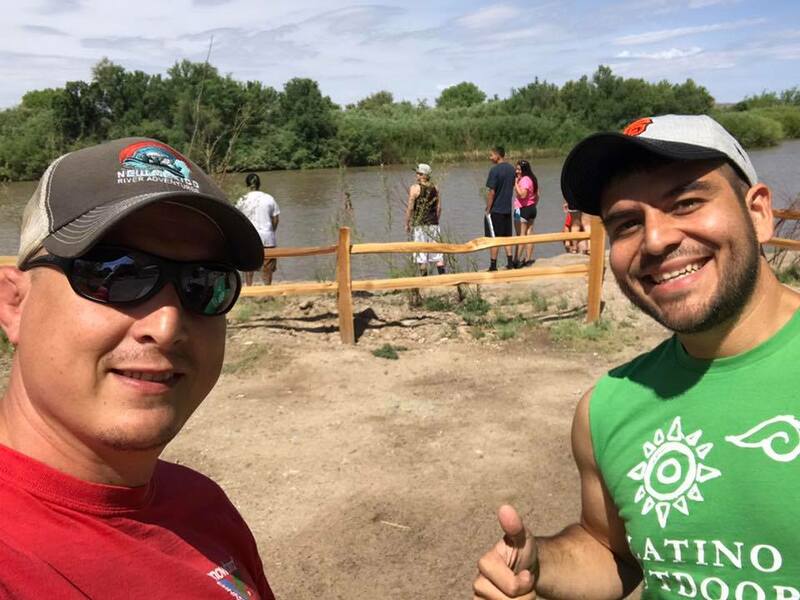 Eagle Boy, Andrew Black and Gabe Vasquez - Water is life! Agua es vida! Tó éí 'iiná até! The U.S.-Mexico border as seen from Mount Cristo Rey in Sunland Park, NM. 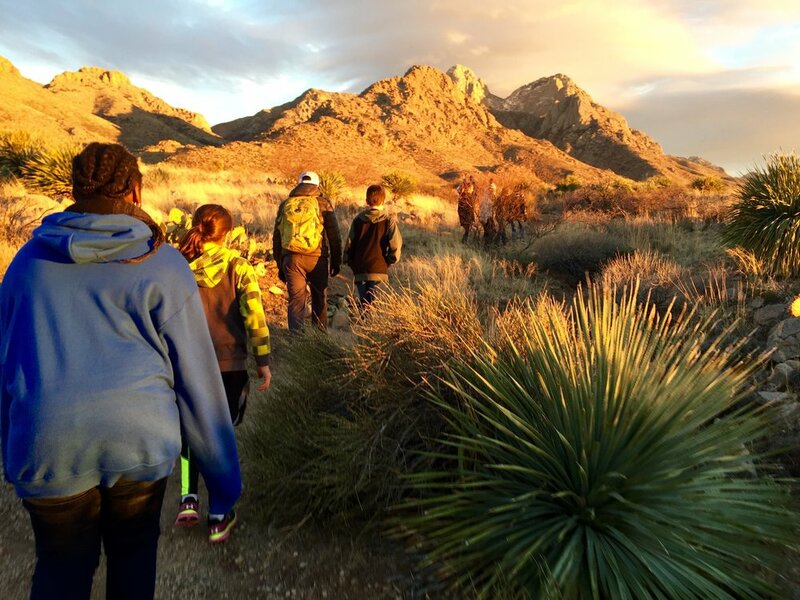 Mount Cristo Rey is sacred site for followers of the Catholic faith and a popular hiking destination for Hispanic families on the borderland. 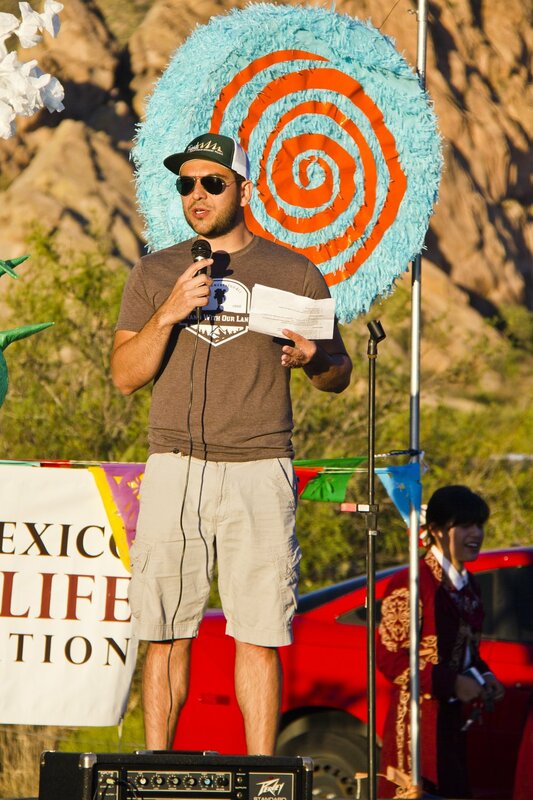 Rep. Javier Martinez, Outdoor Equity Fund supporter, addresses the crowd in Santa Fe. The 2019 LCHS Offleash Bulldawgs!